From prostitute, to concubine, to celebrated artist, The Painter from Shanghai by Jennifer Cody Epstein tells the story of Pan Yuliang "famous western-style woman painter." 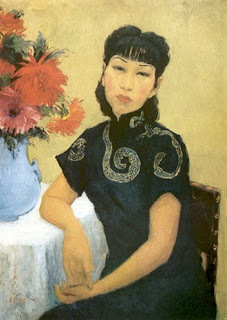 Yuliang was sold to a brothel by her uncle, a man addicted to opium, at the age of fourteen. The years in the brothel are terrible but her friendship with the top-girl Jinling gives her hope. Jinling tells her that the men may buy her body but they can't get in her head. Years later, as an artist the only way she is able to express her feelings is through ink and paint. At a party, Yuliang entrances a customs inspector, Pan Zanhua, who makes her his concubine and saves her from prostitution. Zanhua is a modern man forced into a traditional Chinese marriage. He opens a whole new world for Yuliang by getting her an education. The more she learns, the more she is drawn to art. Zanhua sees art as frivolous occupation but Yuliang excels at it to the point that she is offered a chance to study in Paris. Zanhua is torn between his love for her and his desire to see her succeed. Over the years, this struggle within him threatens to drive them apart. In the meantime, Yuliang is enjoying her freedom in Paris. It isn't always easy and she is often a 'starving artist' but she has a freedom to express herself she didn't have in Shanghai. The politics, especially the return to traditional Chinese values, makes it difficult for Yuliang to show her art which often featured nudes- including self-portraits. This causes Zanhua embarrassment and affects his career. 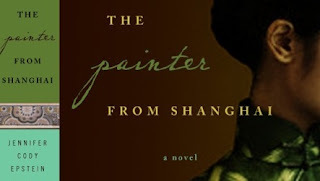 The Painter from Shanghai is a fictionalized account of the life of Pan Yuliang. I know nothing about her so I have no idea what parts of the novel are true. At times it is both beautiful and shocking. I couldn't wait for her to get out of the brothel. The men were truly awful. While I was glad she found Zanhua, I held my breathe waiting to see how he would react to her new found talent. Honestly, at that time, he could have locked her away and never let her see a paintbrush again. Zanhua is instead of a typical 'man-keeping-woman-down' character found in a lot of modern literature, a complex and incredibly patient man. He sacrificed so much in order for her to follow her dreams. Yuliang is almost enigmatic. She rarely shows her emotions to other people. You can't really blame her. She was betrayed so terribly by her uncle who she loved and trusted. Still, I liked her dignity and her strength. I hadn't looked at any of her paintings until near the end of the novel. Her self-portraits are very telling. Her eyes are just how I imagined them to be. She looks like someone who's had a hard life but still beautiful. You can see more of Pan Yuliang's art on Jennifer Cody Epstein's website. Epstein does a terrific job of recreating China in the early 1900's and Paris in the 20's. I felt like I was there with Yuliang. The writing itself made me think of an impressionist painting. Vivid colours and small details made it all the more enjoyable. Epstein also skipped ahead in time throughout the novel to highlight the important parts of her life. Sometimes it was a little disconcerting but it kept the story going at a nice pace. A beautifully written book. This review is part TLC Book Tours. You can find out more about this book tour including other stops on the tour on the TLC website. Jennifer Cody Epstein's fiction has also appeared in Thema, Confrontation, Carve, and Small Spiral Notebook and has been a finalist selection for Glimmertrain. She has also lived and worked in the U.S., Japan, China, Hong Kong, Thailand, and Italy for publications including The Wall Street Journal, The Asian Wall Street Journal, Mademoiselle, Self and Parents, as well as for the NBC and HBO networks. 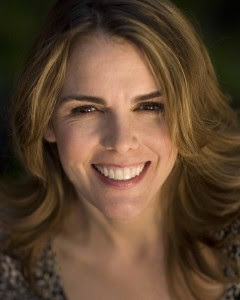 She has a Masters in International Relations from Johns Hopkins University and an MFA in fiction from Columbia University, where she is an adjunct professor in the School of the Arts. She lives in Brooklyn with her husband and two daughters. You can read more about Jennifer on her website. I'm so glad you liked it. I have it but haven't started it yet. My part of the tour is later this month. The book sounds wonderful. I love books set in Asia and books about art. Great review. Great review, Chris! I've seen this one coveted or mentioned in Mailbox Mondays all over the place, but this is the first review I'd read. I didn't read your review because I'm going to be reviewing this one soon. I did read your last paragraph, and now I'm really looking forward to this one. I really enjoyed this book as well. Nice review! Great review! I've been reading fictional biographies of women painters lately, too - I wonder if this is a trend? Nice review, Chris! I am wanting to read this one, also. Thank you for including one of her self-portraits in the review. I like it. I think another painter who did wonderful self-portraits was Frida Kahlo. You can see all the pain she felt. Teddy- I'll be waiting to see what you think. Kathy- This one might be a good fit for you. Bookfool- Literary Housewife reviewed it yesterday. She liked it too. Beth- Hope you like it! S Krishna- Glad you liked it. Teabird- What ones? I'm sure I've heard of a few but can't remember the titles. Rebecca- She was amazingly talented. Wow, Chris, great review! Thank you for all the time and energy you put into reading and review this book. It is really appreciated! I have this book to read, too. I am glad that you enjoyed it!